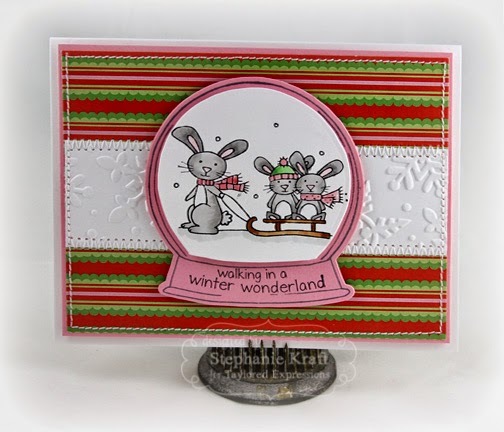 HandKrafted by Stephanie: Taylored Expressions October Sneak Peeks: You've Got Mail Christmas & Ready, Set, Snow! Taylored Expressions October Sneak Peeks: You've Got Mail Christmas & Ready, Set, Snow! Hello! Welcome to the first day of Taylored Expressions October Sneak Peeks! The Baker's Dozen is kicking off 4 days of projects (3 days of peeks and release day). We are releasing 26 new dies, 13 stamp sets, 3 embossing folders, 1 cutting plate, a new 6x6 paper pack and 2 new cardstock colors! All products will be released on Thursday, October 2, @ 7 AM PST. I have several cards to show you today! 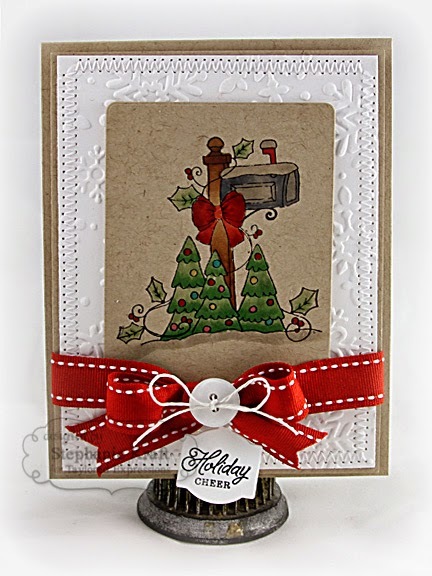 The first one features You've Got Mail - Christmas, a new A La Carte stamp illustrated by Danielle Lounds. 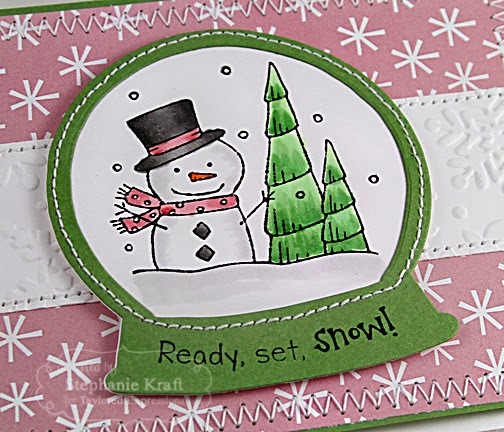 Next, I'm featuring a new stamp set called Ready, Set, Snow!, a medium sized stamp set also illustrated by Danielle. It contains 4 super cute images and 4 matching sentiments. I couldn't decide which one to use, so I made 4 cards and used them all! 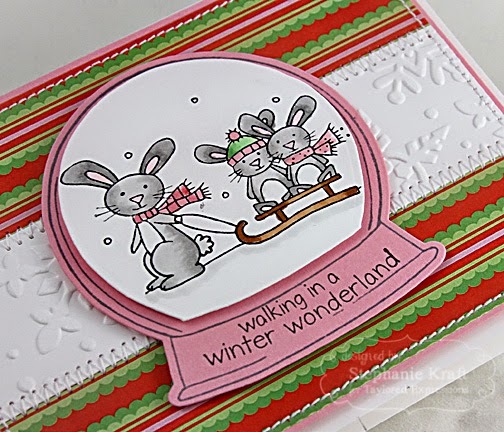 The images and sentiments can be used on their own or with the new Snow Globe ALC stamp and/or Snow Globe die! 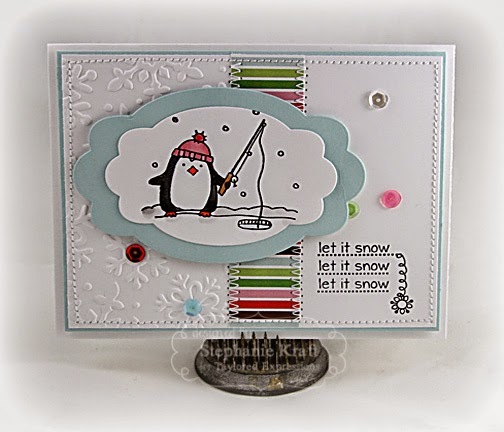 My next card features the sweet snowman image. 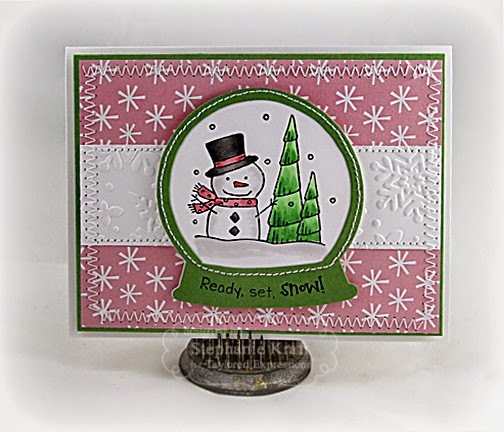 He was stamped and colored, then I used the Snow Globe die to cut him out. 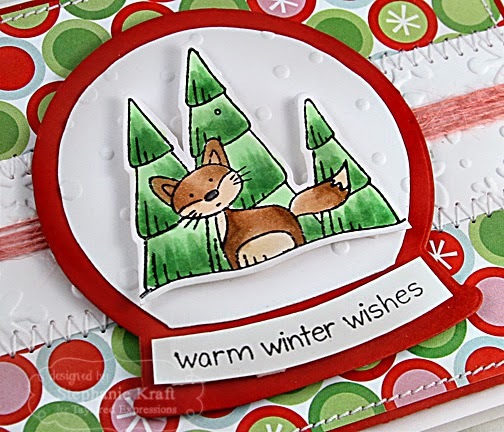 I used both dies included with the Snow Globe die and stitched around the circle. My next cards uses the sweet bunnies! 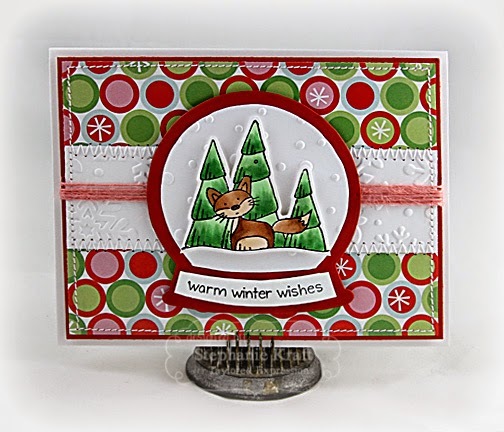 I stamped, colored and die cut them with the Snow Globe die, then I popped them up in the Snow Globe (stamp + die). My final card uses the penguin image without any of the new Snow Globe products. I stamped and colored him, then I used the new Label Stacklets 9. Accessories: Taylored Dies: Designer Mini Tags, Label Stacklets 6, Label Stacklets 9; Winter Flurry & Snowfall Embossing Folders, Gingerbread Lane Sequins (TE); Markers (Copic), Ribbon, Button, Hemp cord, Foam tape, Thread, Sewing machine. Accessories: Taylored Dies: Snow Globe, Winter Flurry & Snowfall Embossing Folders (TE); Markers (Copic), Pink twine, Foam tape, Thread, Sewing machine. Super cute cards Steph. Love the coloring, the papers... especially love the first one with the images stamped on Kraft. Holy cow! You have been busy. These are all just amazing Stephanie! Wowzas! You should almost be done with your cards for Christmas, right? lol! 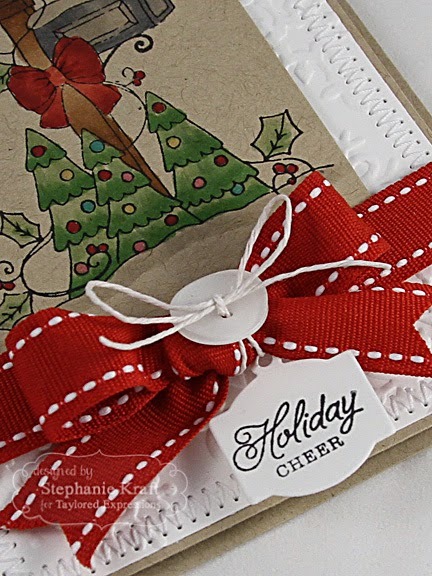 Love your cards, Steph, the stitching on the first card is so beautifully done. Love them all! Hope you're having a great Monday! Hugs! 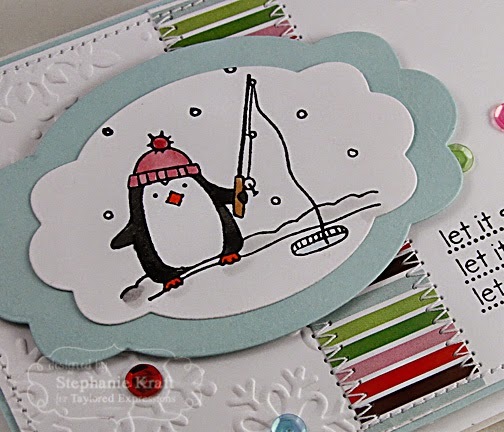 I absolutely looove how you colored that adorable image on the kraft, Stephanie...it's sooo pretty!!! Love your fabulous show globe set, too....such beautiful coloring and I love all the sewing!!! Wow Stephanie! What an amazing collection of projects! Love how you colored all the intricate details bringing each one to life!